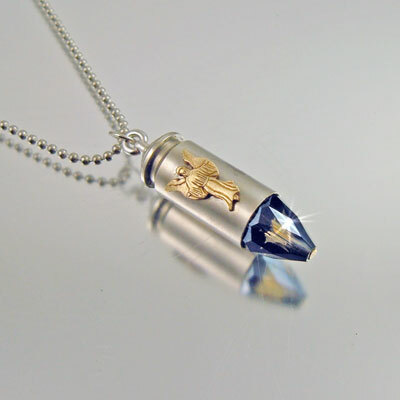 You won't be able to find a Guardian Angel bullet pendant like this except here, the original design was created in my studio. 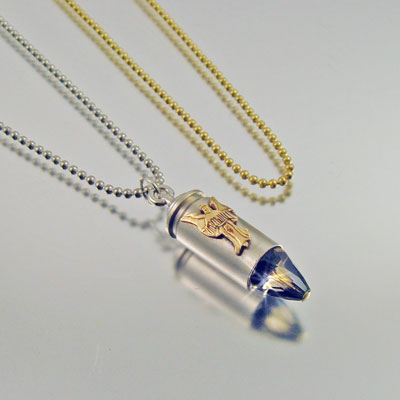 This bullet necklace is made using a 40mm recycled nickel casing, the beautiful guardian angel captures your spirit and says it all. 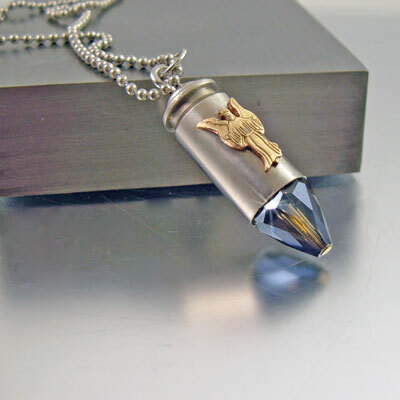 The tip contains a smoke topaz AB color crystal. 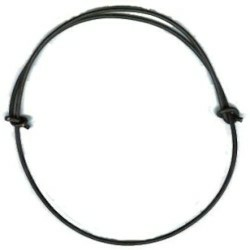 The neutral color is perfect for either a man or woman. 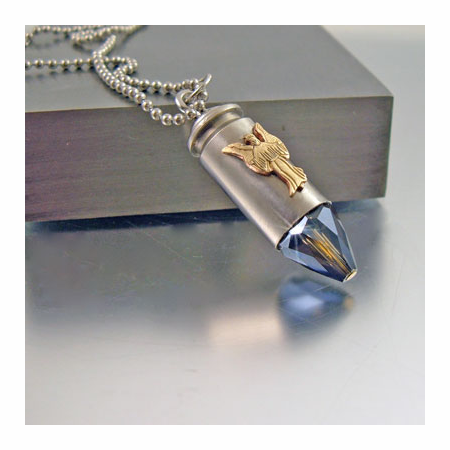 This bullet necklace is the ideal gift for anyone serving in the military, armed or police force, for a hunter, a shooter, or anyone wanting or needing a guardian angel. 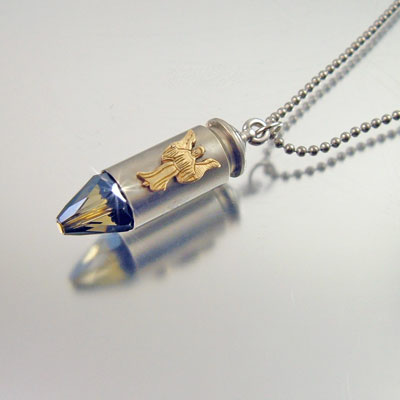 This bullet necklace has become a custom order item. Please allow additional time for your order to be individually made.